Short Range Certificate – Vhf DSC SRC RYA online course – 100 Euro, offer GMDSS X ALL !! Holding a VHF Radio Licence is a requirement if you are looking to Bareboat Charter or join flotilla sailing holiday in the future, so it’s worth doing in advance of requiring it. Add this to your RYA Day Skipper course or RYA Day Skipper Practical course to ensure you have all the requirements for your future sailing holidays and adventures. The course takes about eight hours in total and is completely run online so you can fit this around your schedule. 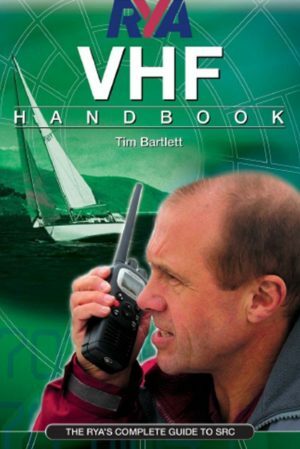 We include the VHF Handbook which is yours to keep; this is available as an ebook or physical book with a postage charge added. We think the ebook is a better option since it will enable you to take this publication with you on all future sailing holidays conveniently stored on your phone or iPad and thus saving your luggage weight. You must complete the learning section and pass the test before we will organise an assessment session; the learning takes about eight hours and we can set up ebook and online log in the same day as payment is received. The fee payable directly to the RYA on your licence application form is £60; this covers the issue of your licence which never expires. * if you choose the physical version of the RYA VHF Handbook you will need to add postage cost to your country of residence. The ebook version is instant and has no extra charge. Book your course by email rya@tecnomar.net or call our team at +39.066582535, or ……… Mob number which is also set up for WhatsApp messaging services. To confirm your place we require the full balance to activate your login and ebook or to post your physical book. We can accept payments by card and direct bank transfers. Minimum duration: 10 hours plus exam time. The exam will always be classroom based but the course can be taken online. To be able to operate the radio and know the procedures required to use the radio.